Survitec Group and the Royal Netherlands Air Force (RNLAF) have agreed to work together to set up a dedicated Pilot Fit Facility (PFF) in Holland for pilots flying the F-35 Joint Strike Fighter (JSF) and to study the feasibility for other legacy platforms. Lieutenant General A. Schnitger, Commander-in-Chief RNLAF, along with other high-ranking officials, sealed the partnership during a meeting with Survitec personnel in London on 14th Sept 2015. Survitec Group is pleased to announce a new extended range of search and rescue (SAR) products aimed at its loyal base of military and civil aviation customers. 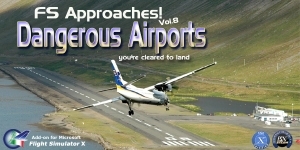 A new Aviation SAR product catalogue is also being launched very soon. Well known for its air-droppable RFD branded SAR liferafts, Survitec can now supply a number of complementary products for rescue professionals ranging from first aid kits and defibrillators to rescue harnesses, stretchers and strobe lights. Customers will be able to satisfy many of their SAR requirements though a single dependable supplier. Fort Worth, Texas, Sept. 22, 2015 – Ceremonies were held today at the Lockheed Martin F-35 production facility celebrating the rollout of the first F-35A Lightning II for the Norwegian Armed Forces. The event marked an important production milestone for the future of Norway’s national defense. U.S. Air Force Chief of Staff General Mark Welsh on Tuesday warned that short-term moves to revise downward the Air Force’s planned purchase of 1,763 Lockheed Martin Corp F-35 stealth fighters could damage the program and scare off foreign buyers. “Let’s delay this discussion for a little while until we see what happens in the world,” Welsh told reporters at the annual Air Force Association conference, citing efforts by Russia and China to field more advanced fighter aircraft of their own. Boeing Co’s first fully equipped KC-46A refueling plane is scheduled to complete its first flight on Sept. 25, the Air Force general in charge of tanker programs said Tuesday. Brigadier General Duke Richardson, executive officer for Air Force tanker programs, said the tanker program was doing well overall, despite earlier schedule delays. After being developed for more than 14 years, costing more than $400 billion to make and 7 years too late, the Lockheed Martin F-35 fighter jet has finally been officially approved ‘ready for combat’ by the U.S. Marine Corps. This immense milestone in the development of the world’s most expensive weapons program has once again spurred the debate on the jet’s capabilities and its readiness to take the throne from the legendary F-16. Nevertheless, it seems like this debate could be far from over as there might be some challenges waiting ahead. On November 28th the U.S. Department of Defense has contracted The Boeing Co., TechFlow, Inc., Fourche Range, Northrop Grumman Systems Corp., and Integrated Defense Systems, and Bering Sea Environmental for a total of $86.5 million.